At first, I was confused. And prior to confusion, I thought that juicing and blending was just the same thing, so I did not bother buying a juicer until the “Juicing Vegetable” was introduced to me by my godmother-by-marriage. Instantly, it got my attention and interest. To think, everyone strives for a good health. I also believe that we are what we eat or drink for that matter so anything that would detoxify our bodies and systems especially an all-natural stuff is a must-try. Considering the number of free-radicals and pollution nowadays, it seems that exerting extra efforts to improve and protect our overall well-being is the smartest move and the wisest investment. 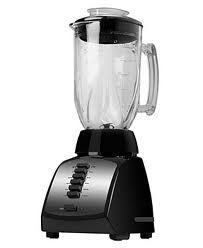 So, if juicing and blending are two different things, which of them is better, you may ask as I have also asked. Juicing is mixing veggies and fruits to make an all natural drink. It extracts only the juices, everything else is removed (i.e. fibers and pulps) while blending, also a mixture of whole foods turns them into a smoothie preserving all components. No extraction here just blending so you’ll get not only the juice but all the pulp and fibers as well which are wasted when juicing. This explains why smoothies are thick or viscous and have rough or creamy textures as compared to watery juices. These pulp and fibers in smoothies have their own benefits that cannot be denied. Now, you may think that blending is better. Wait up first. Juices, on the other hand, being thin and basically like water is absorbed by our bodies faster. Thus, it is better in cleansing. Drinking smoothies are like eating whole foods, only simplified or broken down for easier digestion while when you drink a juice, it quickly combines to your bloodstream hence a faster effect. Imagine an IV fluid (Juice) and compare it to medicines taken orally (Blended), that’s how it works. Juices also have more tolerable tastes when we’re talking about ampalaya and the likes. Juicing offers concentrated end-products and probably most applicable if you desire for an immediate boost of the immune system and quick cell regeneration like if you’re fighting impending flu. Blending is still a great way to practice a healthy lifestyle. Personally, I looove drinking my smoothies right straight from my blender! It’s so chic for me. 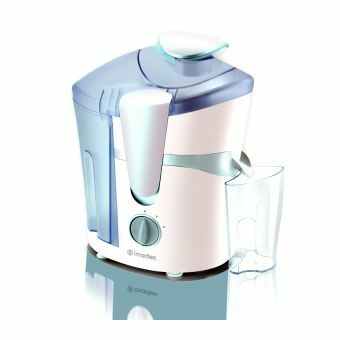 Plus, smoothies can be turned into juices with a little magic from cloth strainers but juicers cannot make smoothies. And the biggest turn-on for me? Blenders are much easier to clean! haha Juicing is an amazing way to take in loads of vitamins and nutrients from more variety of fruits and vegetables all at the same time, that’s something blenders cannot offer. Quite perfect for busy working moms/women like me or for someone who cannot do ‘it’every day. A once a week of vitamins, minerals, and nutrients overload is more than good enough. Conclusion is, blending and juicing are both magnificent aid in one’s important decision to live a healthy lifestyle. Doing a little of both is a surefire fun and the best way to go, after all, drinking smoothies or juices for too long might just get boring. So have the best of both worlds! Meet my partners for a healthy lifestyle. We’re definitely a team! Happy Blending and Juicing to all! Share to me your favorite recipes. Perfect for Fridays and weekends. Even if they are normally #cheatdays, we can still insert some healthy stuff.